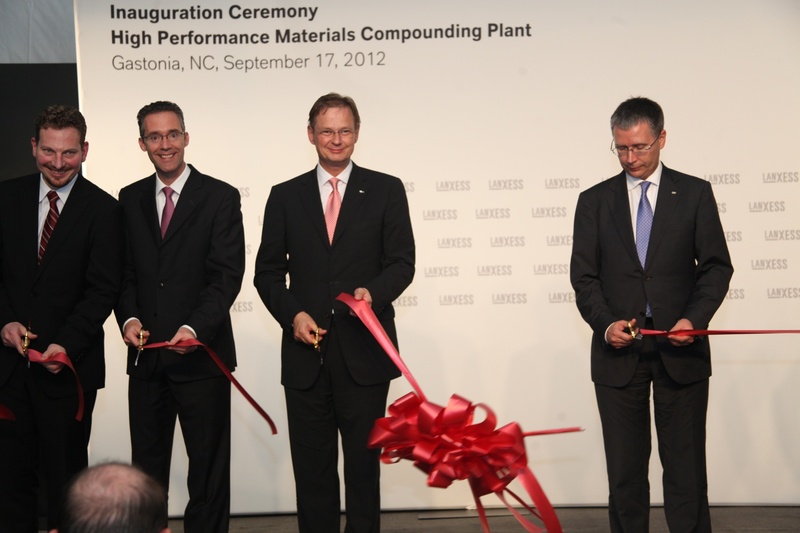 Lanxess has invested US$20 million and opened its first production plant for high-tech plastics on the “auto belt” in Gastonia in the U.S. state of North Carolina. This strategetic move of opening the plant is to help to meet the growing demand for premium, lightweight plastics. The new plant will initially operate with a capacity of 20,000 metric tons a year. In the new compounding plant, basic polymers such as polyamide and polybutylene terephthalate are mixed and refined with special additives and glass fibers, according to customer needs, to produce the well-known Durethan and Pocan brands. Both high-tech plastics have a wide variety of applications, including body parts, oil pans, coolant pipes, battery housings, steering rods, pedals and pedal brackets. According to the company, these highly innovative materials help to build much lighter plastic parts that can replace metal ones in motor vehicles, helping to reduce fuel consumption and emissions. Furthermore, the materials enable automobile manufacturers and suppliers to achieve more freedom in design and considerable savings in production. “With our new plant in Gastonia, we are now really close to our US automotive customers and can support them in the development of lightweight, energy-saving vehicles even better than before,” said Lanxess CEO, Axel C. Heitmann at the opening ceremony. The company adds, the new site in Gastonia is on the fringe of the so-called “auto belt” in the southern USA. Numerous car manufacturers – including a number of German companies – and auto suppliers have settled in the states of North and South Carolina. Around a quarter of North American auto suppliers, including many of the company’s customers, operate manufacturing facilities in North Carolina. The USA is the largest market for high-tech plastics, with the automotive industry at the forefront. Increased Corporate Average Fuel Economy (CAFE) fuel efficiency standards are driving demand for these advanced materials. The CAFE regulations aim to improve the average fuel economy of cars and light trucks sold in the United States. Besides, Lanxess has earmarked investments of US$163 million in expanding its global production network for high-tech plastics from 2012-2014. The heart of their high-tech plastics value chain is in Antwerp, Belgium, and Krefeld-Uerdingen, Germany. In Antwerp, the company has decided to build a new world-scale facility to make polyamide plastics and has recently expanded capacities at this site for the chemical intermediate caprolactam, which is a precursor for the polyamide. Polyamide and the other polymer polybutylene terephthalate are then sent to the company’s growing global network of compounding facilities, to produce Durethan and Pocan high-tech plastics. In addition, Lanxess expanded its portfolio of lightweight materials to the automotive industry by acquiring the German-based company Bond-Laminates, which specializes in developing and producing custom-made plastic composite sheets branded TEPEX.